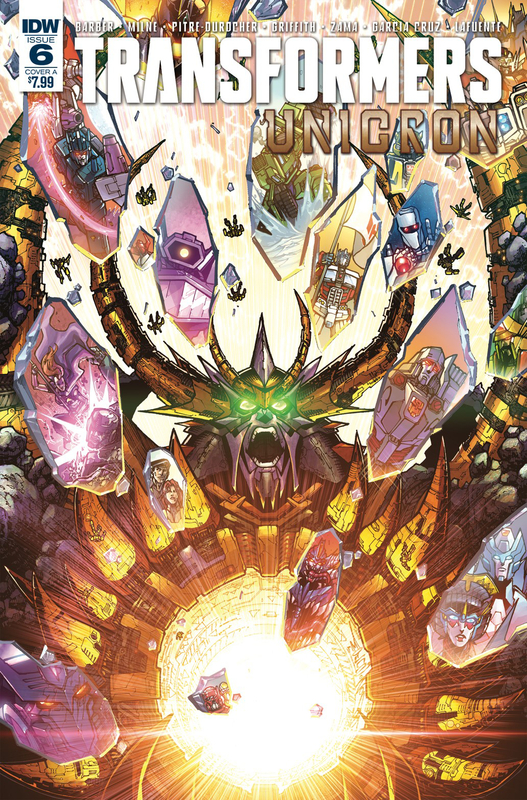 Courtesy of Comic Crusaders comes the five-page preview for the final issue of IDW Publishing’s Unicron miniseries! The Autobots, Decepticons, and all of their allies stand united to face the titular world-eater in one last battle not just for the fate of the Earth, but the entire universe itself. * Only one last, desperate plan has any hope of seeing them all survive! As well, in illustrating all of the pages of this double-sized finale, Alex Milne will joined by fellow IDW ongoing artists Sara Pitre-Durocher, Andrew Griffith, and Kei Zama. You can pick up the penultimate issue of IDW’s &#187; Continue Reading. The post Unicron #6 preview appeared first on Transformer World 2005 - TFW2005.COM.